Sherlock (Jonny Lee Miller, center) uses his powers of deduction to consult on the murder of a young man who is shot upon entering his apartment. 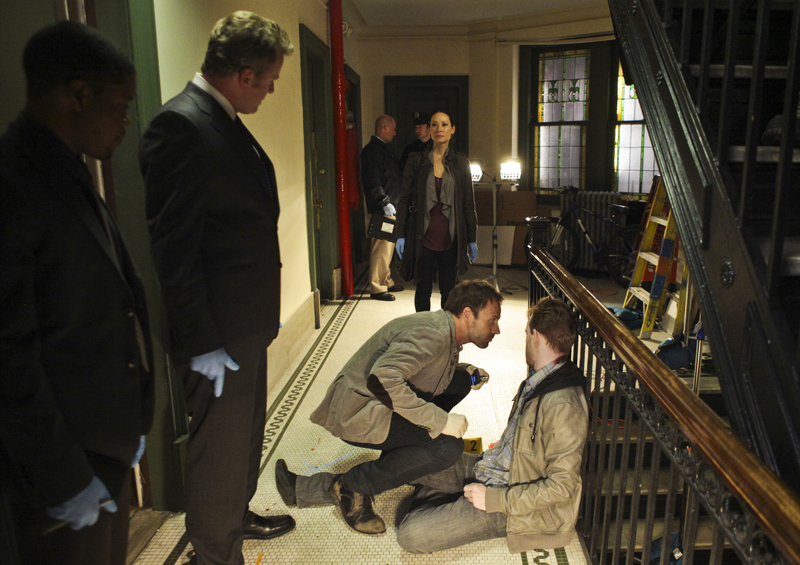 Also pictured is Jon Michael Hill (far right) Aidan Quinn (right), Lucy Liu (center). Photo Credit: GIOVANNI RUFINO/CBS © 2012 CBS. All Rights Reserved.